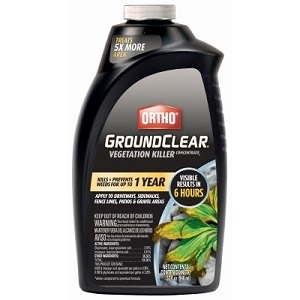 Ortho GroundClear Vegetation Killer Concentrate, 32-oz. Kills and prevents weeds for up to 1 year. Concentrate treats 5X more area than before. 1 Bottle of new formula = 5 Bottles of old formula! Visible results in 6 hours; best speed claim in 12 month control.